If your engine abruptly stops working, it may be a sign that your timing belt has broken. This can be incredibly dangerous if you’re driving on the freeway at high speeds. 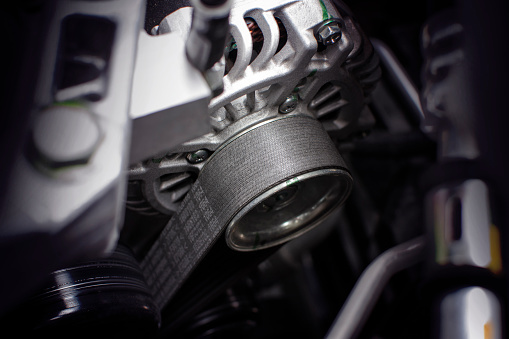 A timing belt breaking can also cause lasting damage to your engine. That’s why it’s important for drivers to ensure their timing belt is replaced when needed – it’s far safer and less expensive to replace the timing belt then to fix the issue once it’s broken. The same principles apply to other car maintenance, such as oil changes, hose and spark plug replacements, transmission fluid exchanges and service, and brake repair. All of these are straightforward maintenance that may seem small – but if you defer maintenance too long it can lead to costly repairs and dangerous conditions while driving. Keep your car functioning properly by sticking to a regular maintenance schedule. Have questions on what needs to be done or how often certain services should be performed? Our skilled technicians would be happy to help! If you need a timing belt replacement in Rohnert Park, or would like your vehicle inspected to see if you need to replace the timing belt, head to RPM Automotive Services. Our shop would be happy to inspect your vehicle and make recommendations on necessary maintenance. Our family owned and operated auto repair facility wants to keep your car running smoothly for years to come!